A Drug Enforcement Administration officer hired and paid for a prostitute for a Secret Service agent in Colombia in advance of a presidential visit last year, according to a Justice Department report. 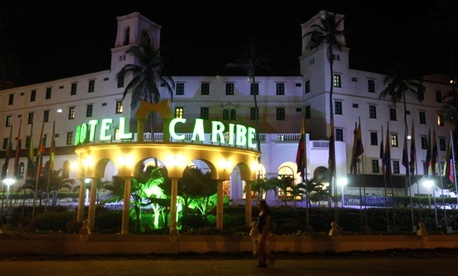 The DEA officer was stationed in Cartagena, Colombia, where 13 Secret Service agents were involved in a prostitution scandal in April 2012. The officer arranged for the Secret Service agent to receive a massage, the Associated Press reported, and the agent later had a sexual encounter with the prostitute. The Justice Department found three DEA agents were initially at the Cartagena residence where the encounter took place, though one left before the prostitute arrived. Investigators found the three officers had deleted data from their government-issued smartphones during the probe. They later admitted to using their DEA phones to arrange for paid sexual services. The investigators made public a one-page summary of their findings Thursday. The DEA’s conduct board said the matter is under review, according to AP.